Nikon unveiled their new Black riflescopes line. It’s targeting the long-range rifle and AR shooter markets. The new scopes will be available in the Spring of 2017. The new scope lines target the precision rifle shooters and the action shooters. The BLACK X1000 4-16x50 and 6-24x50 models are designed for the long-range precision shooter. They are available with X-MRAD or X-MOA reticles. Both are tactical style reticles. The turrets for windage and elevation are elevated and easy to use. Adjustments made through the turrets are accurate and repeatable. This allows the shooter to precisely dial in measurements. Both reticles provide visually clean and highly functional guidance to estimate range or maintain holdover. 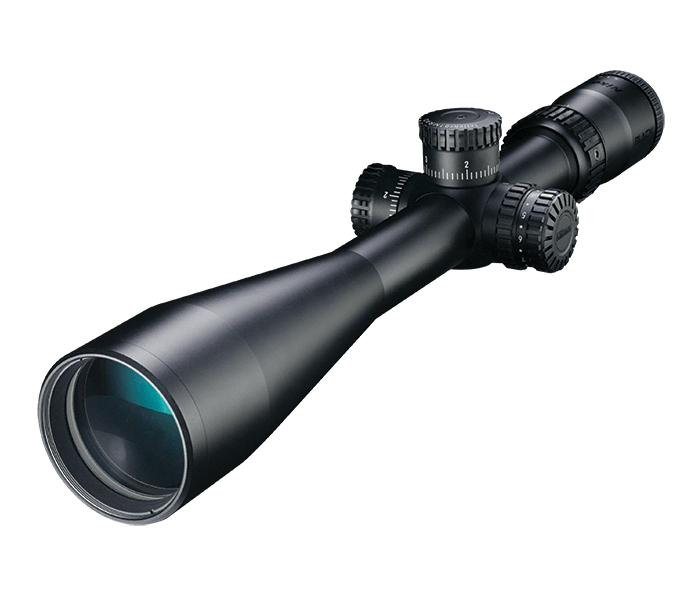 The Black Force1000 comes as a 1-4x24 riflescope. It targets the action shooter that needs rapid targeting capabilities on the AR/MSR platforms. The Force1000 scope features a SPEEDFORCE reticle and capped turrets. Dialing the magnification down to 1x causes the reticle’s illuminated double horseshoe center to act as a quick reference for reactions-speed target acquisition. It also allows for establishing moving target leads. The SPEEDFORCE MOA reticle integrates BDC circles and hash marks for intermediate-range target holdovers. The tube on all Black series rifle scopes is made from aircraft-grade aluminum alloy. The diameter on all scopes is 30 mm for optimized visibility. 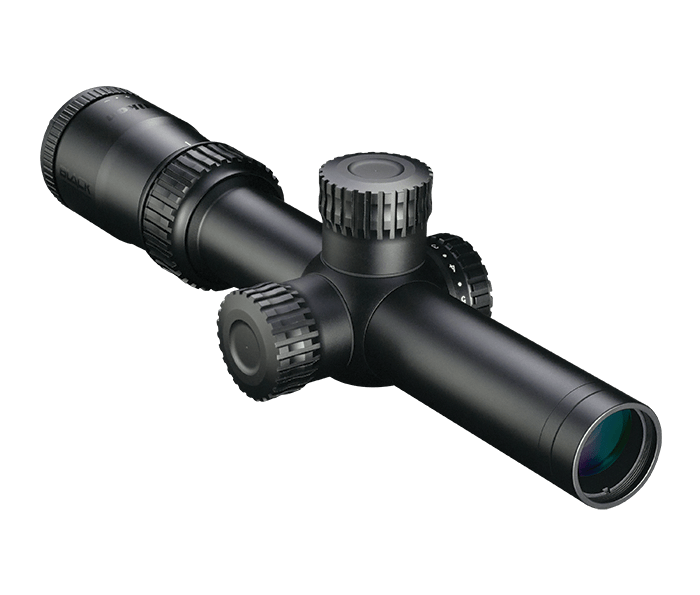 This provides shooters with a rugged and durable scope. As all Nikon rifle scopes, the Black series scopes are covered under Nikon’s No Fault Policy for repair and replacement. The scopes have been introduced in the Spring of 2017. Street prices are lower than the MSRP.